The retired school principal and the millwright have quite a bit in common. Married to sisters, they have found over the years that they both enjoy a cold non-hoppy beer, yard sale treasures and a great big saucy shawarma pita at Sammy's. On an unusually warm early March day, I followed them into this favourite haunt of theirs to see what all the fuss was about. 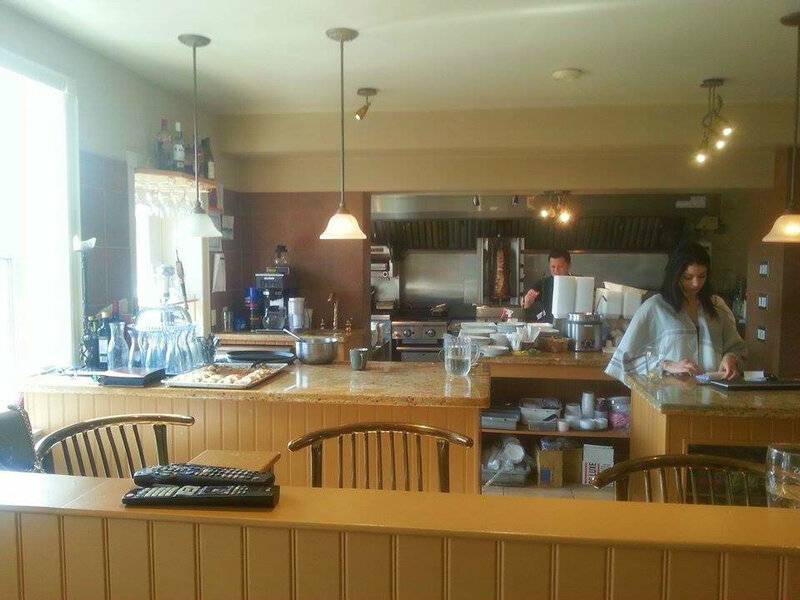 I remember when this was Chau's Chinese Restaurant years ago. 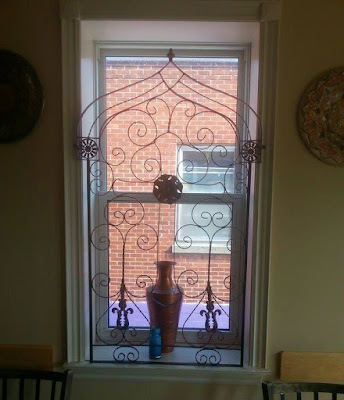 From Sammy's south facing window, you can see the back of the Queen's Hotel and the still un-glamorous looking rear of the very old brick building where we had our first apartment. It may have been 20 years since I stepped inside this structure. It is lovely inside - clean, painted in warm tones, an upscale feel, lots of Middle Eastern decorative pieces (I particularly love the metalwork window grills) and lots of natural light. At five minutes before twelve, it was very quiet inside. My brother-in-law, Ken, was already there and he assured us that there would be a sudden upswing in business any time. And he was right. A steady parade of well tailored suits came through, city employees, local barristers and such I would imagine, to pick up lunch to go. 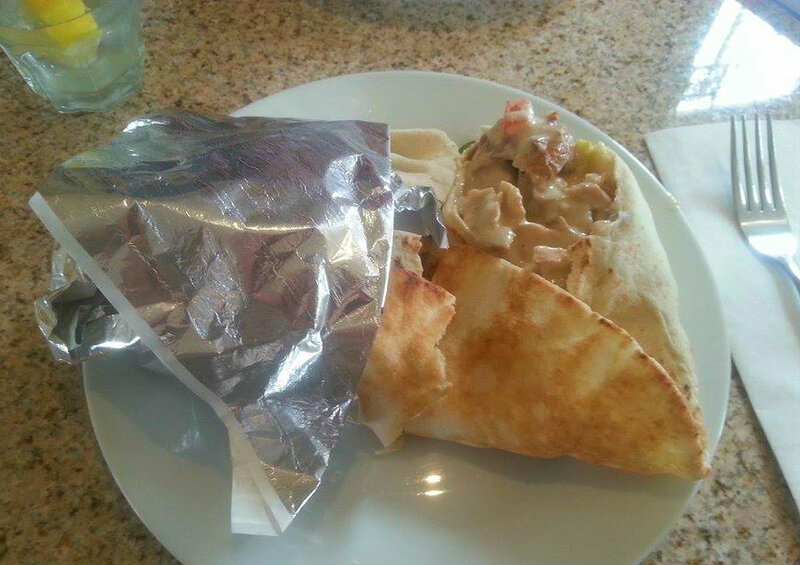 Our menus were scarcely studied as the guys knew exactly what they wanted, what they always get - the chicken shawarma pita! 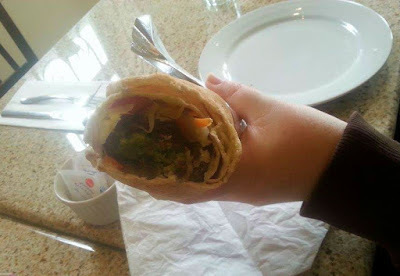 The falafel pita was on my mind already, so I ordered that. 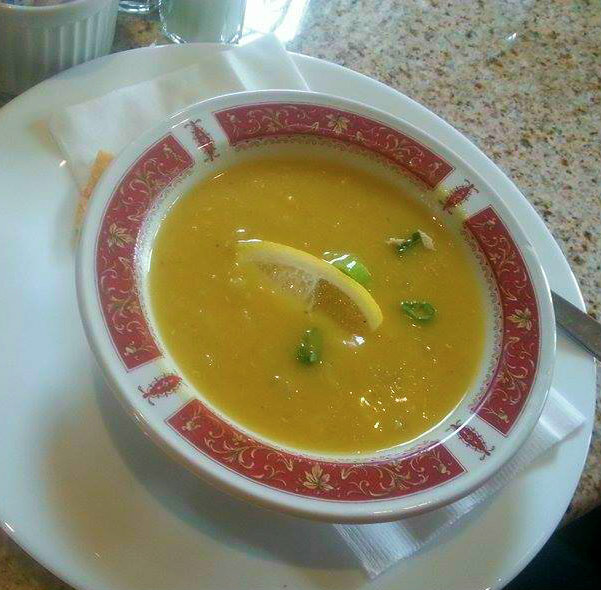 We all got the soup, and by the soup, I mean the house lentil because there is only one soup on the menu. 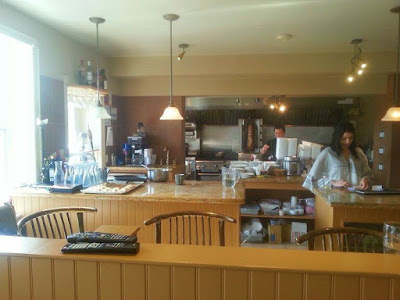 The menu is not extensive, and in my opinion, that is a smart thing. Why carry a huge inventory of ingredients when you can do a few things really, really well? The soup was very nice, and milder than I was expecting it to be. After having a lentil soup in an Indian restaurant recently, I was prepared for more spice but it was a more laid back soup, almost reminiscent of a French-Canadian pea soup. 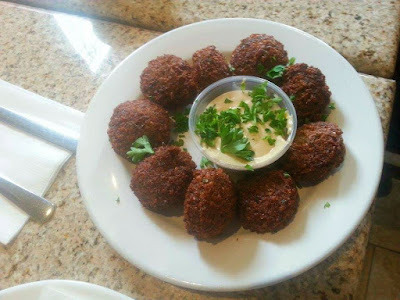 The guys were hungry so they also ordered a falafel plate as an appetizer. They dug into it with lots of mmmmmms. Careful boys, that's a vegetarian dish you know! Our pita orders were amazing. The guys were in heaven with their much anticipated shawarma pita sandwiches - tender and perfectly seasoned chicken, crisp salad toppings and all saucy with tahini, wrapped in a huge pita. My falafel pita was equally enormous, the biggest I have ever seen. The first bite was soooooo good! In fact, every bite was as good as the last, right down to the messy finale when you find yourself trying to extract every last morsel hidden in the foil wrapper. How I enjoyed the oddly green interior-ed falafel balls (spinach and parsley), the salad ingredients and the smooth hummus and tahini in my pita. I can see why the boys keep coming back over and over again. 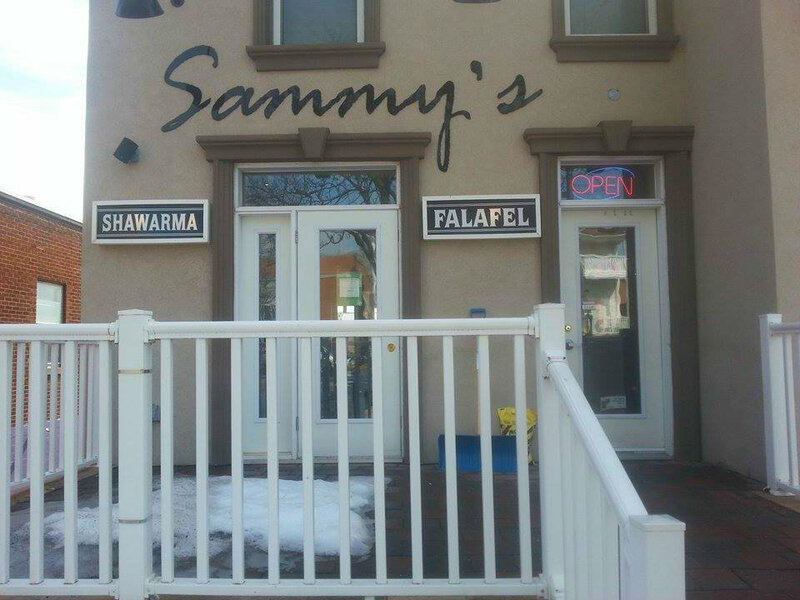 Check out Sammy's In And Out Pita at 53 Collier Street. They are very non-tech with no website that I can find, no Twitter and no debit so bring cash! Whatever they are doing is working. Go see for yourself. I may see you there because I will be back!